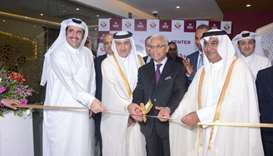 The second Qatar Visa Centre (QVC) in India was opened in Mumbai on Friday in the presence of officials from both Qatar and India, the Ministry of Interior (MoI) tweeted. 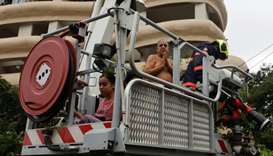 A fire in India's financial hub of Mumbai killed four people and injured 16 on Wednesday, authorities said, as the blaze spread quickly through a tall, residential building. An Indian expatriate who travelled to Mumbai recently died after suffering a cardiac arrest during his journey. 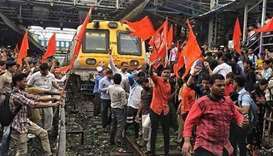 Protests have been mounting across the key state since Monday, when a Maratha community activist jumped to his death from a bridge in protest. 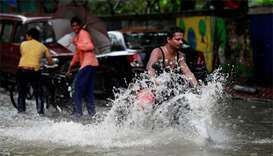 Weather officials warned that heavy rainfall was expected for the next four days. 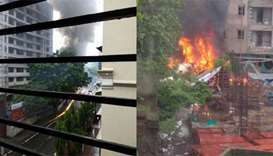 There were four passengers on the 12-seater aircraft when it crashed shortly into the construction site shortly after 1:30pm. 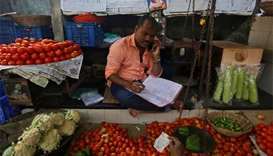 Farmers began their 10-day protest on Friday to press demands such as farm loan waivers and higher prices for produce such as cereals, oilseeds and milk. 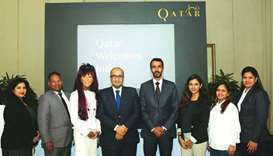 Qatar Tourism Authority (QTA) has opened a representative office in Mumbai, India – the 11th in a network of offices around the globe, it was announced. A Mumbai gang boss and eight others were sentenced to life imprisonment on Wednesday in relation to the 2011 broad daylight killing of an investigative crime reporter in India's financial hub, Mumbai. Family members burst into tears and garlanded Khomdram Gambhir Singh, 66, as he arrived in his hometown on Thursday. 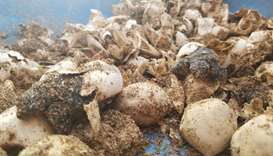 Tiny olive ridley turtles have hatched in India's financial capital Mumbai for the first time in two decades after a major cleanup of a beach, officials said Friday. 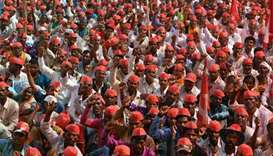 The farmers, wearing red caps and carrying red flags, arrived in the city following a six-day trek from Nashik, 165 kilometres north of India's financial capital.